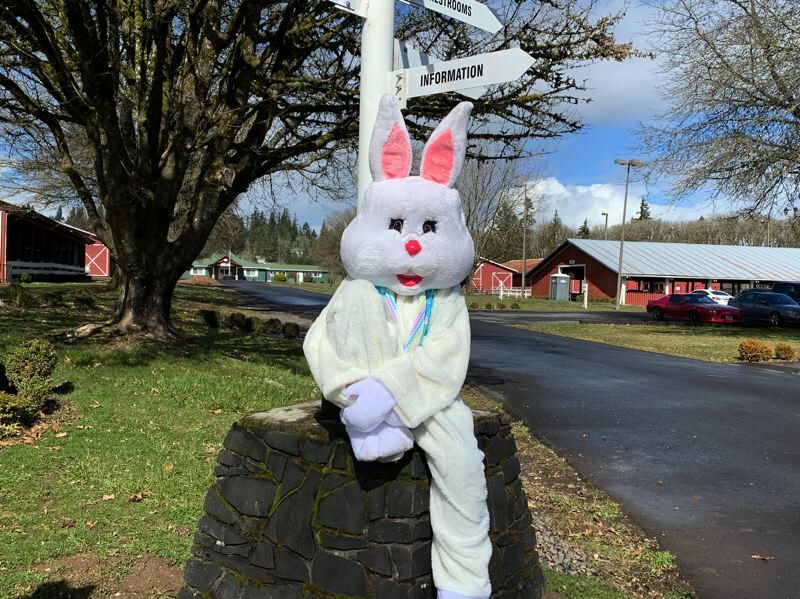 The annual mEGGa Egg Hunt scheduled for Saturday, April 20, at the Columbia County Fairgrounds offers a variety of activities and festivities for free the Saturday before Easter. One of event's main attractions is the egg hunt itself, which is divided into five different age ranges for children 12 and younger, and each group has its own hunting area. Organizers also offer a specially designed egg-hunting area for children with special needs ages 15 and younger. "And this year we have increased the amount of candy that will be out in the fields, which will be 36,000 pieces of candy," Evelyn Hudson, one of the event's main organizers, said. "Plus we will have more candy and prizes for every child as they go out the gates." Children can also be on the lookout for 35 specially wrapped coins in each hunting area, which can be traded for special prizes at the pavilion building on the fairgrounds site. In addition to the egg hunt, a variety of entertainment will occur throughout the morning. Members of 4-H will offer a petting zoo, archery demonstrations and dog demonstrations, while the Columbia County Rodeo Court will provide horse rides. The St. Helens High School robotics and engineering club will also be on site giving demonstrations of the team's competition robot. Additionally, children can watch Veggie Tales movies, have their faces painted, enter coloring contests and take home a plant-a-seed kit. Several costumed characters will also be on site to take photos with visitors. This year, three costumed bunnies will also have a special treat for visitors, Hudson explained. "The mEGGa Egg Hunt Team is proud to announce that we will be presenting the day of the event a 'Bunny Dance,'" Hudson added. The dances will take place at the four-way intersection inside the fairgrounds at 10:30 and 11:30 a.m. While most activities are free, including entrance to the egg hunt, some food and beverages will be available for sale at the fairgrounds. An ATM will be on site. While the event is just around the corner, volunteers are still needed. The mEGGa Egg Hunt, which is entering its 19th season, is completely volunteer-run and relies on community support for donations and operations to make it possible. When: All egg hunts start at 11 a.m. sharp; Fairground gates open from 9:30 a.m. to 1 p.m. Parking: Parking at the fairgrounds will be limited. A free CC Rider shuttle will pick up visitors at St. Helens High School between 9:15 and 10:30 a.m. The shuttle returns to the high school between 11:30 and 1 p.m.